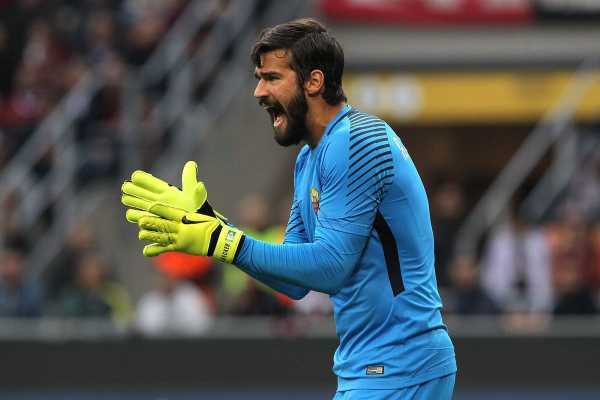 Liverpool manager Jurgen Klopp has joked that he would have spent more money on goalkeeper Alisson Becker if he had known that the Brazilian shot-stopper was as good as he has shown in the colours of the Reds. German tactician Klopp was speaking during his post-match interview with Danish TV after his Liverpool side booked a spot in the first knockout stage of this season’s Champions League via a 1-0 win over Italian Serie A giants Napoli in their Group C clash at Anfield on Tuesday. The former Mainz 05 and Borussia Dortmund manager spoke in the presence of Reds legend and pundit Jamie Carragher. Alisson Becker was the man who kept Liverpool in the Champions League after he denied Napoli substitute Arkadiusz Milik the equalizer from point-blank range. When asked about his goalkeeper, Jurgen Klopp said that he would have paid double of what Liverpool paid for the Brazilian international star. Liverpool signed Alisson from Italian capital club AS Roma in the summer for a then world record fee of around £67m before Spanish shot-stopper Kepa Arrizabalaga broke the record with his £71m transfer from Athletic Bilbao to Chelsea some days later. Alisson Becker has played a prominent role in the Reds’ ascent to the top of the Premier League.